Thank you very much for being an OontZ Angle 3XL owner. Enjoy listening to your music, videos and games on your speaker, playing wirelessly from your Bluetooth devices. This guide was designed to help you quickly get started and answer any functional questions you have regarding your speaker. Please take a few minutes to read through this guide and try out the features on your OontZ Angle 3XL. Listen to your music, videos and games on your OontZ Angle 3XL, playing wirelessly over Bluetooth from your smartphone, iPhone™, tablet, iPad™, Bluetooth iPod™. Please take a few minutes to read through this guide and try out the features on your OontZ Angle 3XL. Your OontZ Angle 3XL can also connect to a second OontZ Angle 3XL with our OontZ Dual Wireless Pairing™ feature. 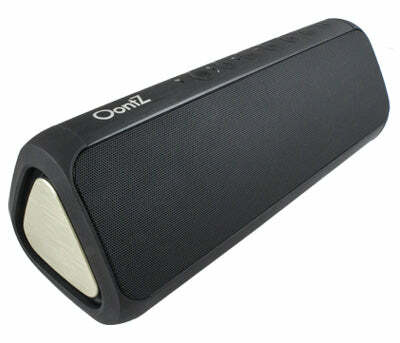 If you purchase a second OontZ Angle 3XL you can connect to your first OontZ Angle 3XL wirelessly and play two OontZ Angle 3XL speakers in tandem for awesome sound, or use the two speakers as left and right for amazing stereo separation. The OontZ Angle 3XL is also IPX5* water resistant, designed to be splashproof and dustproof. For assistance with your OontZ Angle 3XL contact our customer support team. Please visit our Corporate Sales page for more information about the OontZ Angle 3XL as the perfect corporate gifts, holiday and special occasion gifts, or event gifts. You can also learn about our Ultra-Portable OontZ Angle 3, perfect for travel and gift giving. *The IPX5 certification test consists of low pressure Water projected by a nozzle (6.3 mm) from all directions, without resulting in a harmful effect to the speaker. It is not submersible and should never be placed in or under water, this could result in irreparable damage to the speaker. The IPX5 water resistance is only applicable when the connector flap is closed and sealed completely. The OontZ Angle 3XL is not water resistant when either the power adapter or 3.5mm Audio cable are plugged in. 2. On/Off Button - Press and release to turn on. Press and hold for two seconds to turn off. Flashes blue when in pairing mode. Solid blue when connected over Bluetooth. 13. Indoor/Outdoor switch – For switching between Indoor (left/right stereo) or Outdoor (tandem) modes, when playing with a second OontZ Angle 3XL using OontZ Wireless Dual Pairing™. 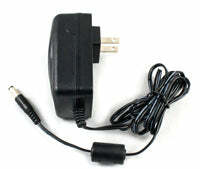 To charge your OontZ Angle 3XL, plug the connector end of the included power adapter into the Charging Jack (16). Plug the other end into a wall outlet. You can play your speaker while charging. When charging, the Charging Indicator Light (1) will flash red, slowly. When fully charged it will turn solid red. The speaker will take about 4 hours to fully charge. We recommend you fully charge your speaker during the first use. Note: When playing from battery power the OontZ Angle 3XL will turn off after 30 minutes of not playing audio. Step 1 – To turn on your OontZ Angle 3XL press and release the ON/OFF Button (2). The Bluetooth Indicator Light (3) will flash blue and you will hear the voice prompt: “Ready for connecting”. This indicates that the speaker is in pairing mode and it is ready to pair and connect to your device. Step 2 – Enable the Bluetooth function on your device and then search/scan for the OontZ Angle 3XL. When “OontZ Angle 3XL” appears on the Bluetooth device list, select it and your device will pair and connect to the speaker. Make sure your device indicates that it is connected to “OontZ Angle 3XL” in your device list. If your device requests a password, enter “0000”. Step 3 – The Bluetooth Indicator Light (3) will turn solid blue to indicate that the OontZ Angle 3XL is paired and connected to your device and you will hear the voice prompt: “Connected”. You can now play wirelessly from your device. Note 1. The OontZ Angle 3XL can only be connected to one device at a time. You will need to disconnect the first device from the OontZ Angle 3XL before trying to pair to another device: Press and hold the Bluetooth button for 3 to 5 seconds for the speaker to enter pairing mode, it will disconnect from the current device when entering pairing mode. The blue light will flash indicating the device is disconnected and the OontZ Angle 3XL is in pairing mode. You can then pair and connect to the next device. Note 2. The OontZ Angle 3XL will automatically try to pair to the last connected device each time it is turned on and that device is or comes within range. If the OontZ Angle 3XL successfully connects to the last device it will prevent any other device from pairing to it, until that current device is disconnected. You can control the play functions from your device or from the OontZ Angle 3XL. Please keep your device volume setting above 60%. To increase volume, press and release the Volume + Button (11). Press and hold down the button to increase volume multiple levels. To decrease volume, press and release the Volume – Button(10). Press and hold down the button to decrease volume multiple levels. To skip to the beginning of a track, press and release the Back/Previous Track Button (6) . Press and release again to go to previous track. To pause or play, press and release the Pause/Play Button (8). To skip to the next track, press and release the Next Track Button (9). Note: When in AUX IN mode the next track and back/previous track controls are controlled from the device only. In AUX IN mode the next track and back/previous track buttons will not function on the OontZ Angle 3XL. There is no speakerphone support in AUX IN mode. When connected by Bluetooth to a smartphone or iPhone that supports Hands-Free Profile (HFP), the OontZ Angle 3XL will have Wireless Hands-Free Speakerphone. To answer an incoming call, press and release the Bluetooth Button (4). To end a call, press and release the button. To reject a call, press and hold down the button for about two seconds. You can use your smartphone to switch between using Hands-Free Speakerphone and the device. Note 1: An incoming call will be heard on the OontZ Angle 3XL and your voice will be picked up by the inbuilt microphone. Please keep the speaker close in front of you so you may be heard clearly by the listener. Note 2: The Personal Speakerphone feature is enabled in Bluetooth mode only, this feature does not function when using an AUX IN connection to your phone. Note 3: For some smartphones the call/phone Bluetooth audio needs to be enabled as well as media audio to use the speakerphone feature. In OontZ Wireless Dual Pairing™ mode, you can play from two OontZ Angle 3XL speakers simultaneously in Indoor stereo mode or Outdoor mode. Step 1 – Make sure both OontZ Angle 3XL speakers are on and in close proximity to each other. Step 2 – Press and hold the Pause/Play (8) button for 3 seconds on one of the OontZ Angle 3XL speakers that will be Speaker B. The Wireless Dual Pairing Light (7) will flash white and you will hear the voice prompt: “Searching”. Step 3 – Once the two speakers are paired together, the Wireless Dual Pairing Light (7) will turn solid white on each speaker to indicate that the two OontZ Angle 3XL speakers are paired. Step 4 – Pair your device via Bluetooth to Speaker A. Please refer to section 5 : “Pairing and Connecting the OontZ Angle 3XL to your Bluetooth device: smartphone, iPhone™, tablet, iPad™, Bluetooth iPod™”. You can also use a non-Bluetooth device while in OontZ Wireless Dual Pairing™ mode by connecting the device via AUX IN cable to Speaker A. Please refer to section 7 : “Playing from your Laptop, Computer and non-Bluetooth devices using AUX IN and the 3.5mm audio cable”. To unpair two speakers from Wireless Dual Pairing™ mode: Turn on the Speaker B. The Wireless Dual Pairing Light (White) (7) will be solid white on Speaker B. Press and hold the Pause/Play (8) button for 3 seconds on Speaker B. and it will return to single speaker mode. To choose which mode to play in, slide the Indoor/Outdoor Switch (13) either left or right. While in Indoor mode, the two speakers will play in stereo sound. Your speakers will hint “Left Channel” and “Right Channel” to indicate the role of each OontZ Angle 3XL. In Outdoor mode, both speakers will play with identical audio outputs, unlike Indoor mode. Note 1: Speakers must be in the same mode (Indoor or Outdoor) for bothto play simultaneously. Note 2: Only the controls on Speaker A will be functional while both speakers are paired together. You may only use the Pause/Play (8) button on Speaker B to unpair the speakers. Note 3: The two OontZ Angle 3XL speakers should automatically pair together when you turn them on if they have been paired together before. Make sure the OontZ Angle 3XL battery has sufficient charge. Make sure the OontZ Angle 3XL is not currently connected to any other device. You will need to disconnect the other device from the OontZ Angle 3XL. Make sure the OontZ Angle 3XL is in pairing mode, the blue light should be flashing. Make sure the OontZ Angle 3XL is not currently connected to any other device. Disconnect the other device from the OontZ Angle 3XL. Make sure volume is up on your device and the OontZ Angle 3XL. Turn the OontZ Angle 3XL off then on again. If your device is connected to another Bluetooth accessory, this may interfere with the pairing process, make sure your device is not connected to any other Bluetooth accessory when pairing to the OontZ Angle 3XL. Make sure the OontZ Angle 3XL is not currently connected to any other device. Disconnect the other device from the OontZ Angle 3XL. Turn the OontZ Angle 3XL off and back on. Remove the OontZ Angle 3XL from the Pairing list on the device, restart the device, and then re-pair. Make sure the volume is up on your OontZ Angle 3XL. Turn your OontZ Angle 3XL off and back on. It may be that you need to re-pair the OontZ Angle 3XL with your device. Remove it from your paired devices list, restart the device/computer, and then follow the steps to re-pair the speaker. Set your iMac to max volume and then press the volume up on the OontZ Angle 3XL with two presses of the "+" then reduce the volume on the iMac and it will lower the volume to very low output on the speaker. Increase the volume level on the OontZ Angle 3XL and the device. Make sure the 3.5mm audio cable is fully inserted into the OontZ Angle 3XL and device. The OontZ Angle 3XL does not require drivers, and there are none for it. The OontZ Angle 3XL has an automatic shut off feature after 30 minutes of no audio being played through it. 5. Do not use this apparatus near water when either the power adapter or 3.5mm Audio cable are plugged in– The appliance should not be used near water or moisture when plugged in – for example, in a wet basement or near a swimming pool, and the like.